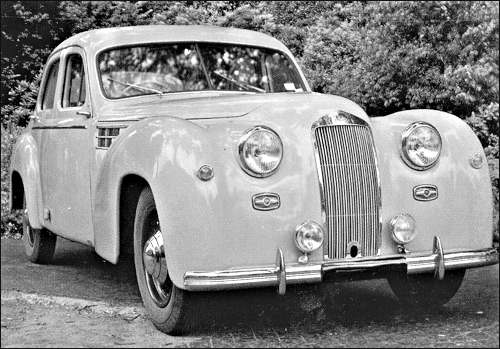 D6-3 litres wb: 6 cyl. 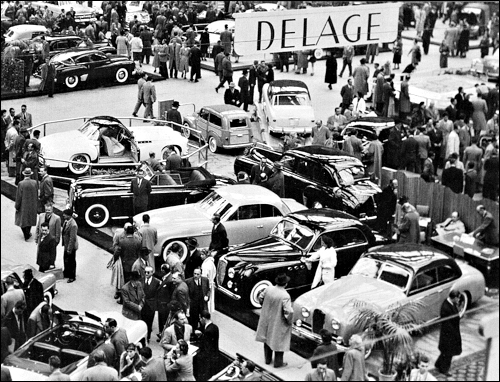 Delage and Delahaye stand at the Paris Show in October '52. 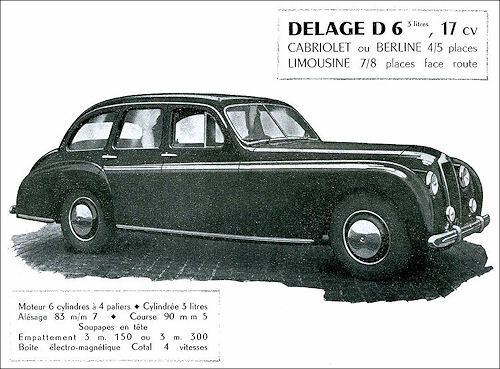 Overshadowed by the Delahaye Delage continue with their D6-3 litre model, now available as a berline built by Autobineau, cabriolet and coach Chapron and long wheel base limousine. 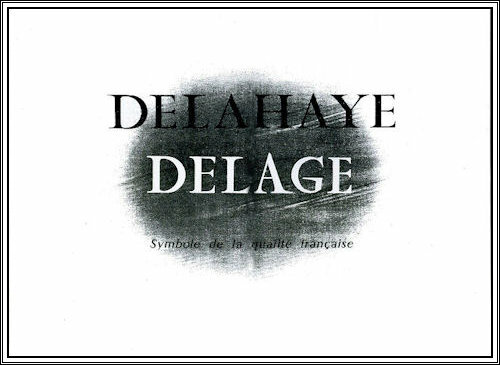 Almost all mechanical components are coming from Delahaye. Both brands are facing financial difficulties as sales are dropping dramatically, from 235 in 1950, 77 in 1951 to just 41 this year. Those figures are for both makes in which Delage represents only tiny percentage. Cabriolet Chapron at the Paris Motor Show in October 1951. Coach Chapron at the Paris Motor Show in October 1951.